Another suggestion for a project: a program for doing blackbox-like recordings, and reviewing them afterwards. 1 This would be good (from your professor's perspective) as there is a clean deliniation between your code and that of others, which makes it more assessable, and (for you) reduces the time spent learning about others' code. 6 The main types of coding are in the areas of networking and interactive GUIs. There are some of Java's strong points, in my opinion. I should say that I am quite new to FG, so perhaps a blackbox facility already exists. 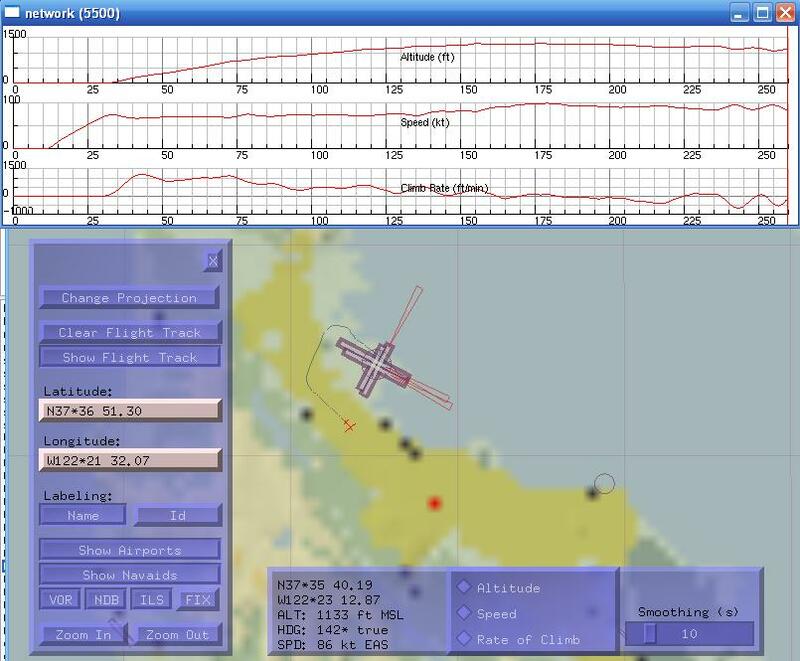 I am wanting a logging and visualization tool like the one described above, because I encounter annoying instances of limit cycle instability in the autopilot; and it would be much easier to trace and fix if I could see how selected properties varied with time. If you do write such a utility, I for one would use it! That blackbox facility does in fact already exist, but only partially. Choosing some properties and recording them are possible. Through the generic protocol (Wiki: Generic Protocol, Forum search: generic protocol) you can write properties to an ASCII file at a specified number of times a second. You can also control the format of the data printed to a high degree. You can e.g. use that facility to write well formatted XML files. Choosing the properties is a bit time consuming though. As different aircrafts may use different FDM:s and may use different properties and even different internal properties for other reasons, I've found that the only straight forward way to chose properties is to read through the property tree at runtime and write down what properties to record. Visualising the data is not provided for at all, unless you would try to use the generic protocol the other way. What you are generally looking for is the data. I generally use OpenOffice Calc to visualize that, though it needs a lot of work. Johan G wrote: Visualising the data is not provided for at all, unless you would try to use the generic protocol the other way. What you are generally looking for is the data. I generally use OpenOffice Calc to visualize that, though it needs a lot of work. Perhaps you could record to CSV format? Then importing it into Calc and turning it into a usable spreadsheet shouldn't be too difficult. I actually do record it in CSV format and import it to Calc. Lazy as I am I would wish it to be even simpler. I.e. I would like to double-click the file and instantly get pretty and zoomable graphs I can take measurements in if I need it. Would look a bit like audio editing software.